-.- as Title says. I'm from SEA Region. Your region doesn't matter. If you don't see cards or PP options, it means you did a refund some time in the past. 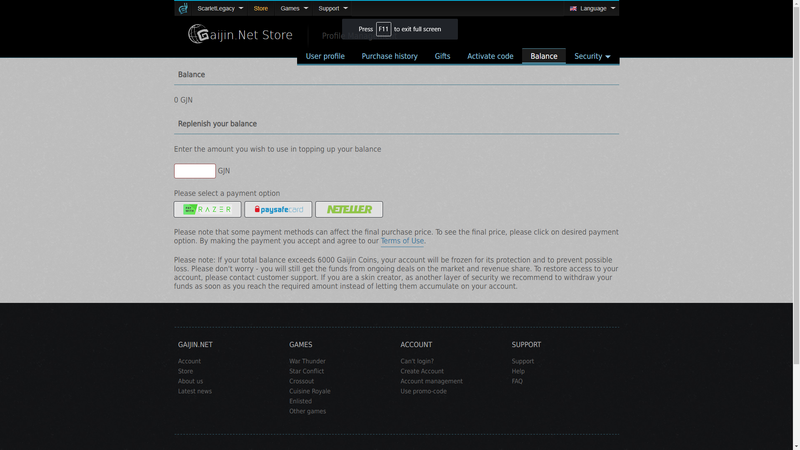 We don't allow such users to use those payment options for GJN purchases. But I have never refund anything in this game what's wrong? Except I have never done a Refund in the Past nor have I even Purchased anything. It's my first time to use the Market to purchase something and I can't even purchase anything when I can't add up the Wallet. You also won't see cards or PayPal if you never purchased anything in the store before. I would like to Request this Thread to be Locked and Solved. I now have access to VISA/Mastercard after buying 150 GE with my Steam Wallet ._. I would like to also thank gromvoiny for the Information. I think we need to pin this link at the GJN replenishment page.